Beervana Buzz: The Treachery of "Grab Some Buds!" Watching the World Series over the past week, I was amused and annoyed by the relentless "Grab Some Buds" ads. FOX managed to beat baseball fans over the heads with these ads, including one instance in which a display ad was shown over the top of a fly-over by military jets. I don't know what FOX was thinking with that one; however, I know exactly what Budweiser and its parent AB InBev were thinking. See, the "Grab Some Buds" campaign is all about countering the well-documented free fall of the Anheuser-Busch portfolio in America. The campaign specifically targets younger beer drinkers who consume massive amounts of beer...and apparently less and less Budweiser all the time. There's an interesting article about the failings of AB InBev out on Bloomberg Businessweek titled, The Plot to Destroy America's Beer. A good part of the article talks about what has happened to Budweiser and other brands that have been taken over by the international beverage giant. Actually, AB InBev isn't just about destroying American beers like Budweiser. Nope. AB InBev is in the business of buying up brands throughout the world and running them into the ground...while making huge profits. They currently own more than 200 brands and are looking for more to buy. Need some examples of AB InBev's business philosophy? Sure thing. Beck's is one. The brand was acquired by InBev in 2001. Based in Bremen, Germany, Beck's exported 60 percent of its production to the United States at the time. After InBev gobbled up (via hostile takeover) Anheuser-Busch in 2008, it moved production of Beck's to the US. The recipe was cheaped out and consumers noticed. 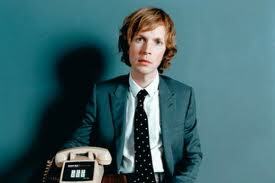 The Beck's brand has been tanking. Then there's Rolling Rock, a once-respected national brand from Latrobe, Pennsylvania. Anheuser-Busch purchased Rolling Rock from InBev in 2006, then promptly shut down the Latrobe plant and moved production to New Jersey. 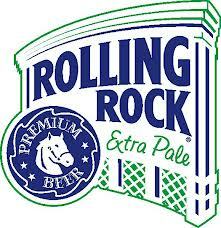 Of course, Rolling Rock returned to the InBev portfolio when it absorbed AB in 2008. Rolling Rock? The onetime premium brand is now found on budget shelves and AB InBev has been trying to unload it. Honestly, consolidation of the US beer industry was a fact of life long before AB InBev came along...and it's well-documented. What AB InBev has done is apply the approach to the world beer market. In case you didn't know, AB InBev is huge. It is the largest global brewer with around 18 percent share worldwide. Inside the United States, the conglomerate controls 48 percent of the market, although that share is in peril as sales within its family of brands tank. Despite the declining sales virtually across the board, AB InBev profits are up and its stock price has quadrupled since 2008. CEO stock option bonuses have been huge. It doesn't take a rocket scientist to see what AB InBev is doing: it behaves like a giant private equity firm. It goes out and purchases respected brands the world over. Then it cuts costs...usually by shutting down original breweries and laying off workers. Then it moves production to factory breweries and bumps up production using cheaper ingredients and labor. In the case of Budweiser, InBev didn't shut down brewing operations when it acquired the company. Instead, it engaged in massive cost cutting, laying off 1,400 employees and selling assets valued at more than $9 billion. InBev also initiated the use of cheaper grains and hops, thinner bottles, labels and packaging. Meanwhile, prices go up, lining corporate coffers and executive pockets. 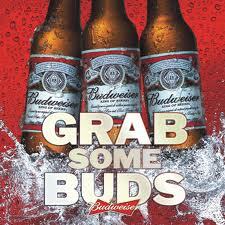 The "Grab Some Buds" campaign is an effort to counter some portion of the market share AB InBev has lost and continues to lose...losses attributable to the growing popularity of higher quality craft beer and the declining quality of AB InBev's increasingly mundane macro product line. It's quite a cynical approach, really. These people are perfectly fine spending lavishly on advertising designed to shore up their damaged brands via sneaky imagery. But spending to produce quality products isn't considered. The ad campaign is a bet that young adults who haven't tried their beers in recent years can be conned into checking them out again...and possibly coming over to the dark side. I guess this is the only move they've got since quality and integrity don't fit in with their financial goals. 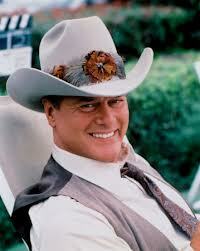 It's like J.R. Ewing famously said on the old Dallas TV show: "Once you give up your integrity, the rest is a piece of cake." Ain't it the truth! So when you see the "Grab Some Buds" ads, do yourself and the world of real beer a big favor: Don't!